Bob Marley famously sang, “Don’t worry about a thing, because every little thing is gonna be alright.” I can picture him now; guitar in hand, locs flowing, the sun beating down on his face as he thought about those words. They are simple but difficult to master. I think we all have this incessant need to worry. We worry what our boss thinks of us. We worry how we’ll make it through this fight with the bae, bestie, or whomever. It is something that happens to all of us but when it does, do we have to give in? 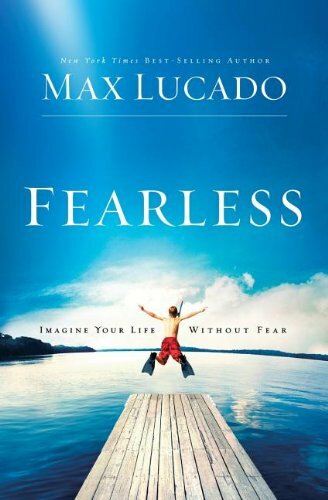 A few posts ago, I mentioned that I was reading the book, Fearleass by Max Lucado; well, I’m still at it.It’s a great read but I have this terrible habit of starting a few books all at once, naturally it takes me a while to finish. About fifty or so pages in, he shares his “worry-stoppers.” I’ve put most of these strategies into practice, I am not worry free but it no longer rents space in my mind. Here are a few! Pray, first. “Don’t pace up and down the floors of the waiting room; pray for a successful surgery.” Here he says, don’t let worry consume you, take it all God in prayer. I understand, not all of us may be at a point where prayer feels comfortable. For me, it wasn’t until August of last year that I reconnected. Or maybe, you’re not a believer. Whatever your reason, it does not stop you from shifting those moments of worry to that of meditation. Stop, breathe, control your thoughts and let positivity guide you. Easy, now. In this one, he urges us to slow down. Many of us are going a mile a minute. It is no wonder that we are worried about this thing or that thing. What if my car breaks down? What if I don’t get that promotion? All these thoughts running through your head. Easy now, and assess the problems as they arise. Act on it. “Be equally decisive with anxiety.” This one has been the hardest for me and requires constant effort but its been the most rewarding. Lucado says, as soon as a moment of concern surfaces, just deal with it. Don’t sit there and let worry take over. “Don’t waste an hour wondering what your boss thinks; ask her.” Why waste time? Compile a worry list and Evaluate your worry categories. Write down all the things that take up space in your mind. What troubles you? As you compile this list, “highlight themes of worry.” This will allow you to gain insight into where exactly you put your concern, then you’ll be able to deal with them specifically. Is it, “what people think of you, finances, global calamities, your appearance or performance. ?” What are you spending your valuable time worrying about? Lastly, Focus on today. I would even argue, focus on the moment. We have no control over what is coming. All we have is this moment. When you focus on being gracious and appreciative for every moment, there is no time for worry. I leave you with Bob. Posted in Motivational, Uncategorized and tagged as christian, christian books, max lucado, motivational, self-help, worry. I really needed this post. I’ve been down the past week or so struggling to get out of bed. But this has helped me a lot. Thank you!